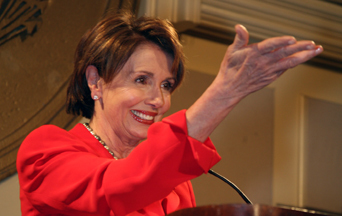 Rarely does a conservative Catholic find occasion to agree with House Minority Leader Nancy Pelosi. On most moral and political issues, she can be found supporting all things liberal. But Congress is a strange place these days. One never knows what to expect. In these times when everything is politicized, the theatrical and sensational easily dominates. Sometimes, an idea slips out that actually has merit…if put in the proper context. During her nearly eight-hour informal filibuster on the House floor last week, Mrs. Pelosi demanded a vote for amnesty for the so-called Dreamers. The term applies to the 3.5 million illegal aliens who entered America as children and who later enrolled or are eligible for the President Obama-created Deferred Action for Childhood Arrivals (DACA) program. As part of her interminable discourse for the Dreamers, the congresswoman suggested praying the rosary—the whole rosary—for the Dreamers. Before asking everyone to go to their knees, however, Mrs. Pelosi reconsidered. She said she preferred to use the time to tell the stories of the Dreamers which are “very prayerful,” whatever that means. She then quickly pivoted to praising the U.S. Catholic Conference of Bishops for their strong support of the Dreamers. She even invoked Pope Francis and Benedict XVI and their support for immigrants. The rosary suggestion suddenly disappeared as quickly as it had arisen before a single bead of the rosary could be counted. 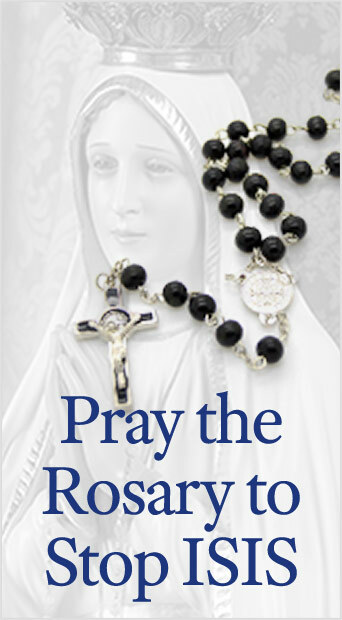 While it appears that the rosary was politicized, the suggestion did show how powerful the image of the rosary can be in these secular times. What was extraordinary about the incident is that there was no outrage or objections to the suggestion that the House pray the rosary—the whole rosary—on the floor. There were no complaints about separation of Church and State even from the most unChristian among the legislative representatives. It seemed the liberals even thought it reasonable that they might be asked to pray for the Dreamers. However, knowing how these political maneuvers work, they plainly saw no danger of actually praying the rosary. The key to the whole proposal was that important phrase “for the Dreamers.” As long as the prayers were “for the Dreamers,” anything can be proposed, and anything can be done, even having Congress pray the full rosary. There is no constitutional objection that cannot be overcome. For Dreamers, all things are possible. The minor incident in House Minority Leader Pelosi’s long-winded filibuster was quickly lost in the fast-paced news cycle. It did however set a precedent that might be invoked in the future. It would need to be a future situation in which the nation faces a true crisis, one for which there is no human solution. It would have to be a crisis so great as to overshadow petty politics and ideological differences. In their desperation, members of Congress would then feel compelled to call upon God for help, with child-like sincerity, from the depth of their hearts. In such a situation, perhaps a representative would be inspired to get up and propose that all pray “Nancy Pelosi’s rosary”—a measure mentioned without protest or outrage in 2018. And then the members of Congress of both parties would pray the rosary—the whole rosary—on the floor of the House just as she suggested. Such a scene does not seem likely given the present polarized state of the nation. However, desperate times often create conditions to achieve that which is considered impossible. One must have the courage to dream. After all, for dreamers (or is it just for certain Dreamers? ), all things are possible—even Nancy Pelosi’s full 15-decade rosary being prayed by the U.S. House of Representatives. This entry was posted in Catholic Perspective, Fighting the Culture War, News Commentary and tagged "Dreamers", Catholic, Church and State, Congress, Nancy pelosi, pray, rosary by John Horvat II. Bookmark the permalink.